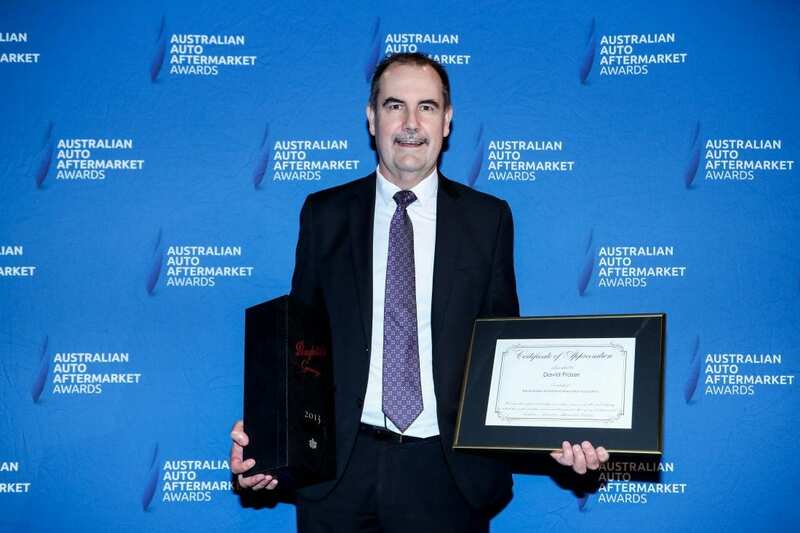 One of the highlights of the 2019 Australian Auto Aftermarket Expo was the Australian Auto Aftermarket Excellence Awards at Melbourne’s Crown Palladium on the evening of Thursday April 4. A total of 750 guests attended the industry’s night of nights that saw automotive aftermarket industry excellence recognised, along with the honouring of several outstanding individuals, both through the Outstanding Service to Industry award along with inductions into the AAAA Hall of Fame. The 2019 Australian Auto Aftermarket Excellence Awards gala dinner was presented by Platinum sponsor Burson Auto Parts, Gold sponsor Dayco Australia, Silver sponsor The Auto Agency and Bronze sponsor ZF Aftermarket. 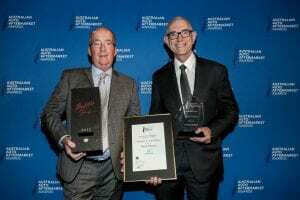 Several surprises were revealed during this highly entertaining evening that marked the first day of the 2019 Australian Auto Aftermarket Expo, where numerous awards were presented including: Best Aftermarket Expo Stand, Excellence in Export, Excellence in Marketing, Excellence in Manufacturing and the Australian Auto Aftermarket Innovation Awards. Individual awards included: Ryan Davis – the Kim Aunger Young Achiever, Geoff Rosenbaum – a Certificate of Appreciation for Outstanding Contribution to the Industry and Maurice Donovan – Outstanding Service to Industry. 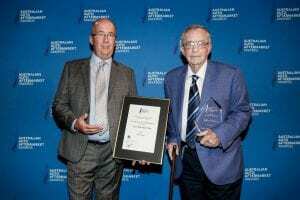 The 2019 AAAA Hall of Fame Inductees were John Blanchard Snr of Cooldrive and Bob Pattison of GUD. However, it was the Certificate of Appreciation for Outstanding Contribution to the Industry awarded to David Fraser, Chief Executive Officer Automotive of Capricorn Society, that caught our attention. David has over 35 years’ experience in the automotive industry and was a former Associate Director and General Manager Automotive of ASX-listed Coventry Group Ltd, responsible for the sales, marketing and administration of the group’s automotive businesses. Aside from a short period out of the industry in 2005/06, David was a member of the AAAA National Council for 16 years, first joining in 2001. David held the role of Vice President for three years and was President from 2010 to 2012. David is a Fellow of the Australian Institute of Company Directors and he is also a Fellow of the Australian Institute of Management. In 2017 he completed the Harvard Business School’s Advanced Management Program. On July 1, 2019.David takes on the role of Capricorn Group Chief Executive Officer. The National Collision Repairer congratulates David on his Award, also recognising his significant contribution to the Collision Repair Industry.